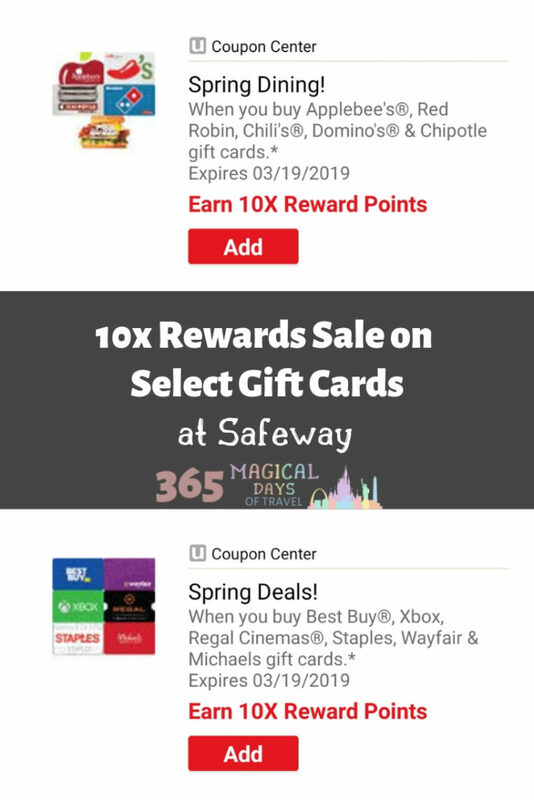 Safeway is having a gift card sale through Tuesday, March 19, 2019, with 10x rewards on gift cards in the Dining, Fashion, and Other categories. 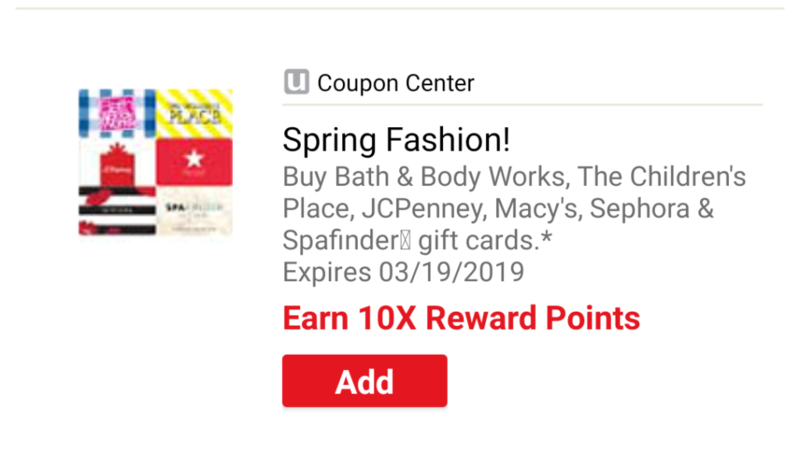 Make sure you add the coupon to your just for U account before heading to the store. 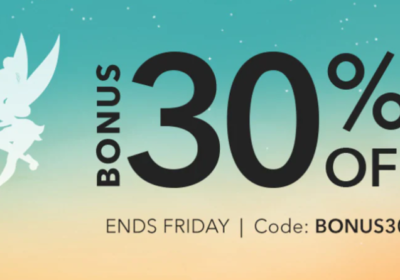 While they are limited, there are some good retailers included in this sale. The cards in the dining category are Applebees, Red Robin, Chili’s, Domino’s, and Chipotle. I just gave Bryan my last Chipotle gift card to use up, so that will be good to stock up on. In the Fashion category are Bath & Body Works, the Children’s Place, JC Penney, Macy’s, Sephora, and Spa Finder. 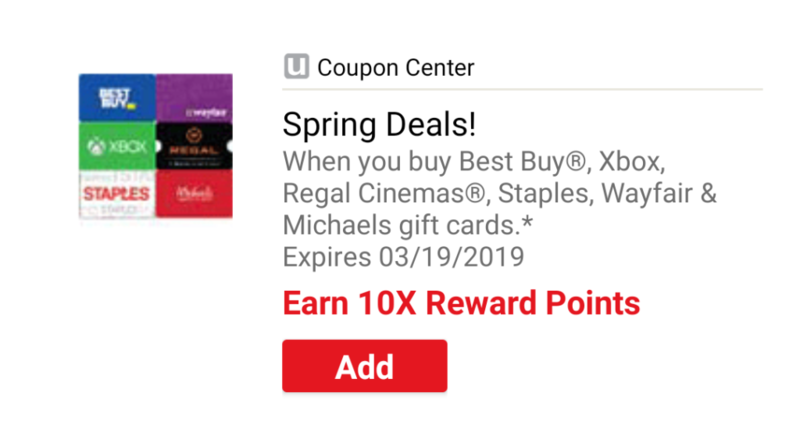 The Other category includes Best Buy, Xbox, Regal Cinemas, Staples, Wayfair, and Michaels. 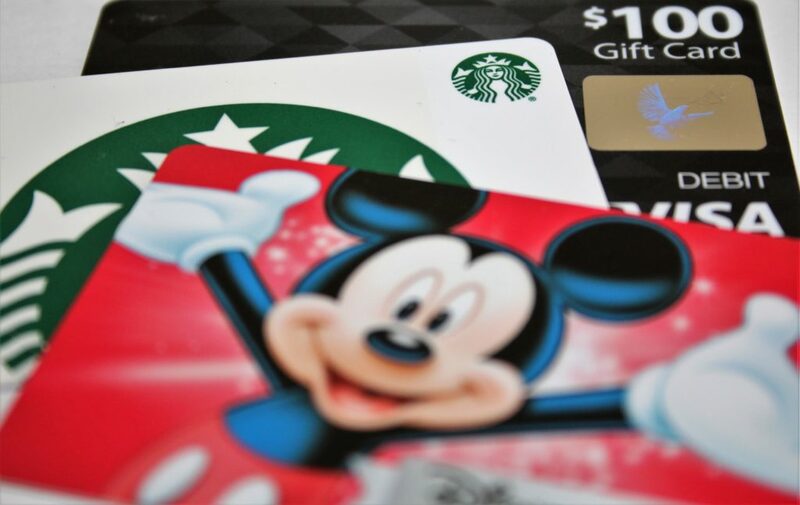 Unfortunately, you can’t buy Disney gift cards with Best Buy gift cards or this would be a great way to maximize the Best Buy Swagbucks deal! To get the most out of your purchase, use a credit card that has a rewards category at grocery stores. 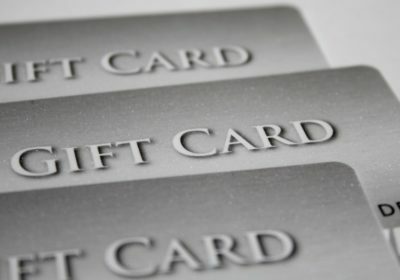 Normally for us, that’s the American Express Blue Cash Preferred Card with 6% cash back on up to $6000 per year in the grocery store category. Due to this cap, I try to look for other cards to occasionally mix in, since we will inevitably hit that cap before the end of the year. Right now, we are working on the minimum spending requirement for Bryan’s new Chase World of Hyatt Visa, so we could also use that in order to get us closer to earning the welcome bonus. Be sure to clip the coupon to your just for U account and use your number or card at the register to get the reward. If you’re not sure which stores are owned by Safeway/Albertsons in your area, take a look below. You can find this clickable image here if you scroll to the bottom of the page.